Hi, I hope you had a nice weekend ladies!! 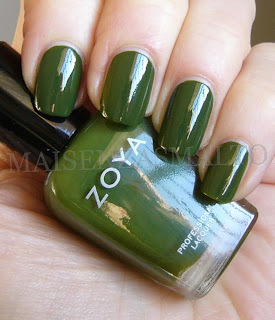 I'm back with an "out of season" polish, as this is Zoya Shawn from last Fall "Wonderful" collection. 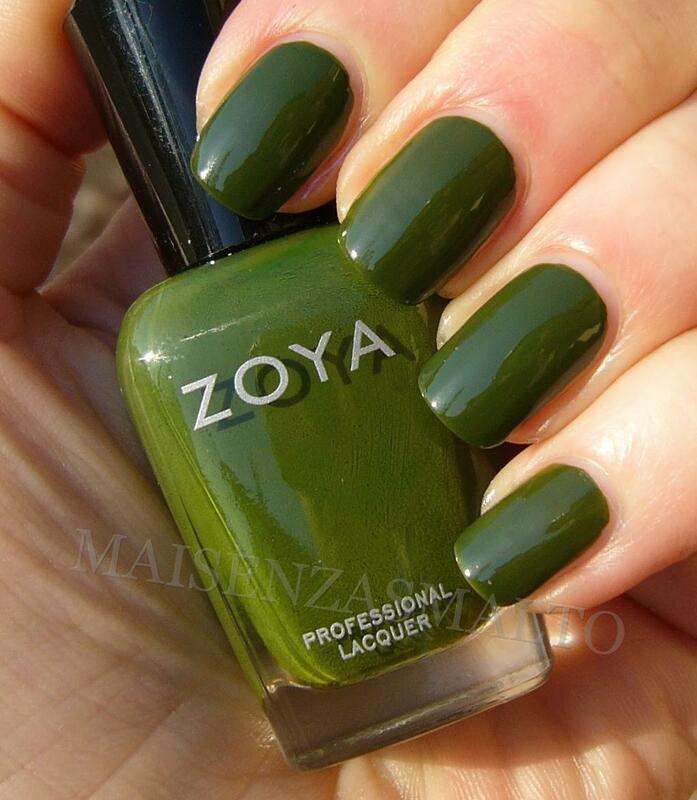 Actually I think it can be worn easily also during early Spring, I found it amazing, here you see the result of two coats (three if you apply thin layers, as I did on my ring finger) BTW application is a dream, I so love Zoya polishes. 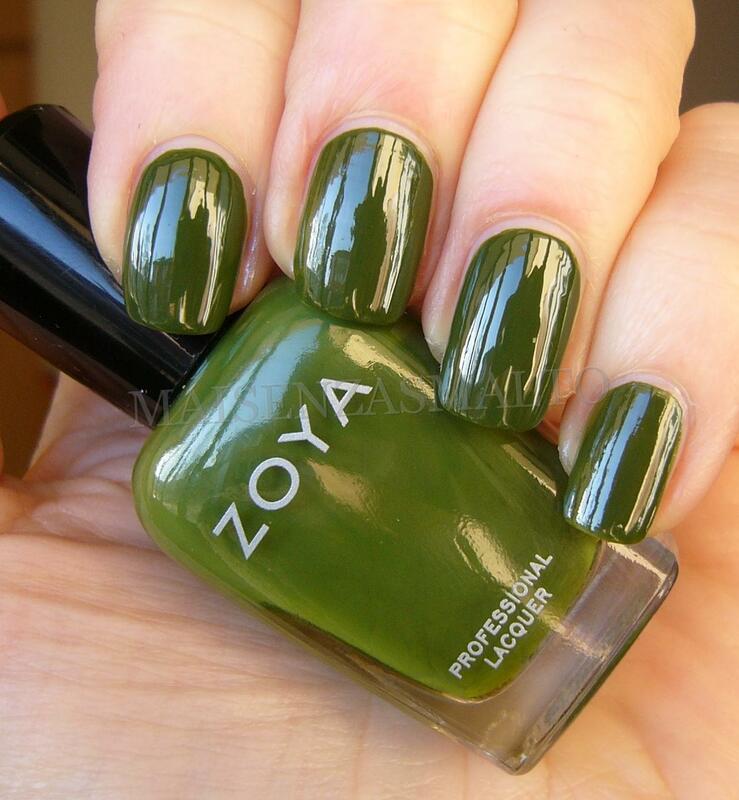 It's a glossy (super glossy - see shade pictures, so light-reflecting) green, described by Zoya as "warm, mossy yellow-toned medium green cream with olive undertones". Perfect. Eccomi qua, spero che il vostro fine settimana sia stato bello (qui c'era un sole! 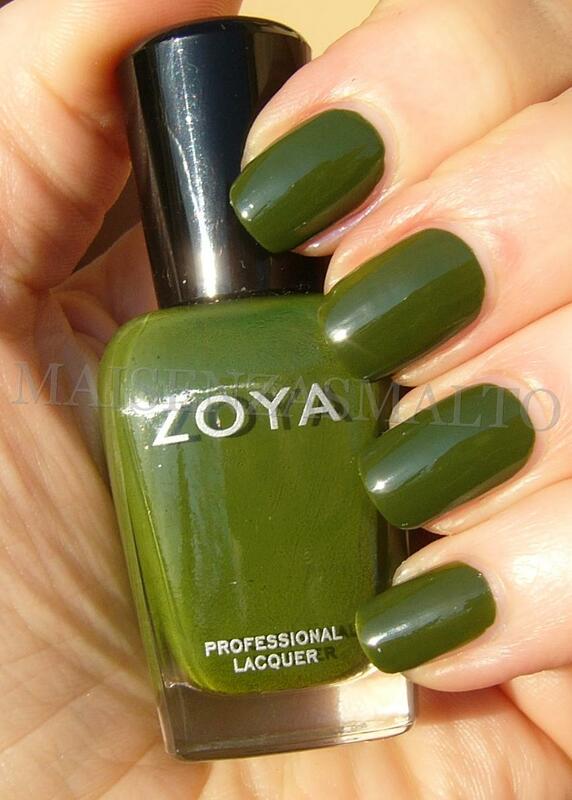 )...Ritorno con uno smalto leggermente fuori stagione, anche se secondo me si può mettere anche in primavera: Zoya Shawn della collezione Wonderful (Autunno 2010). Inizio col dire che l'ho adorato, sia per la stesura perfetta sia per la brillantezza. Due mani sono sufficienti, tre se stendete strati sottili (come ho fatto sull'anulare). E' un verde "muschio/oliva" creme molto particolare e raffinato (ok, sempre di un verde si tratta, però secondo me non "sbatte" come altri verdi). 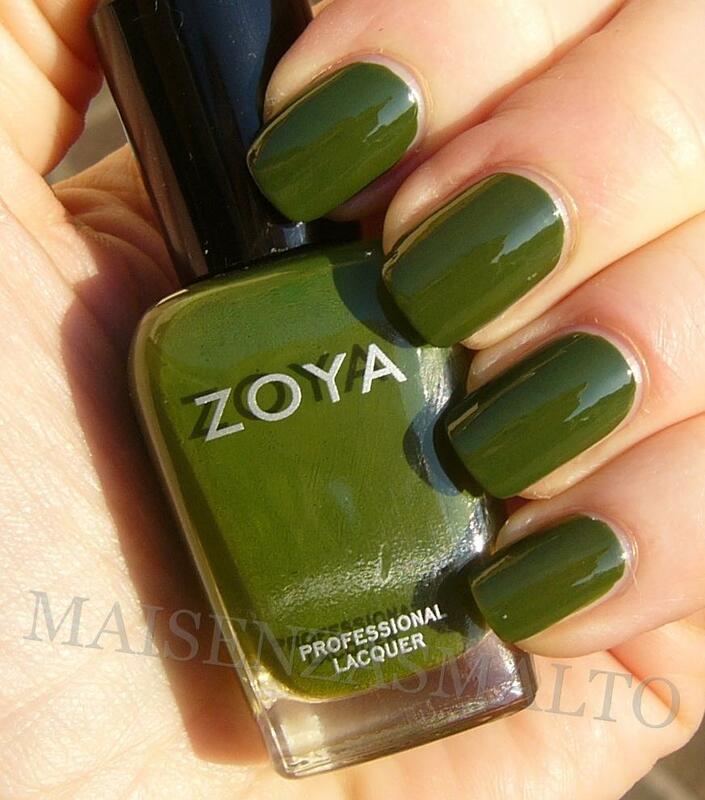 Veramente stra-lucido, come si vede nelle foto (senza top coat), soprattutto quella con luce indiretta. Stupendo.